Happy Monday Friends! 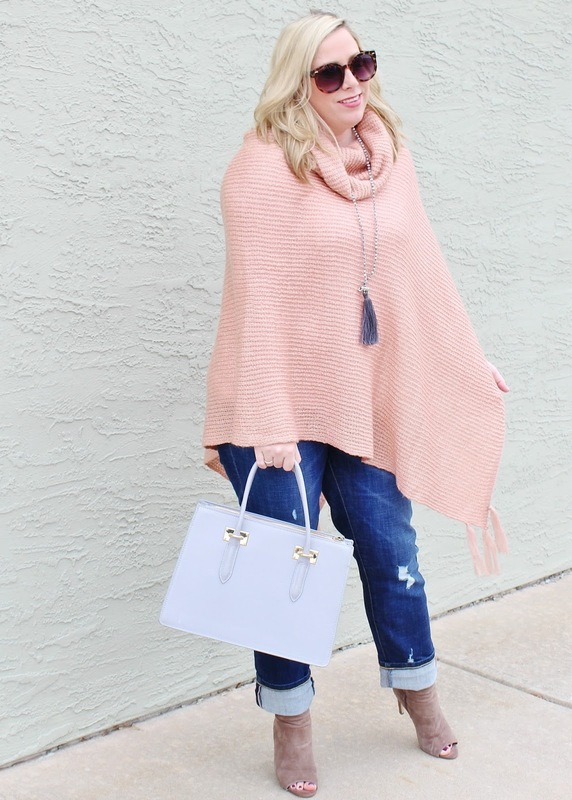 With the cold temps moving in, layered looks have become a must over the last couple of weeks and warm, cozy poncho's have been a go-to style for me! 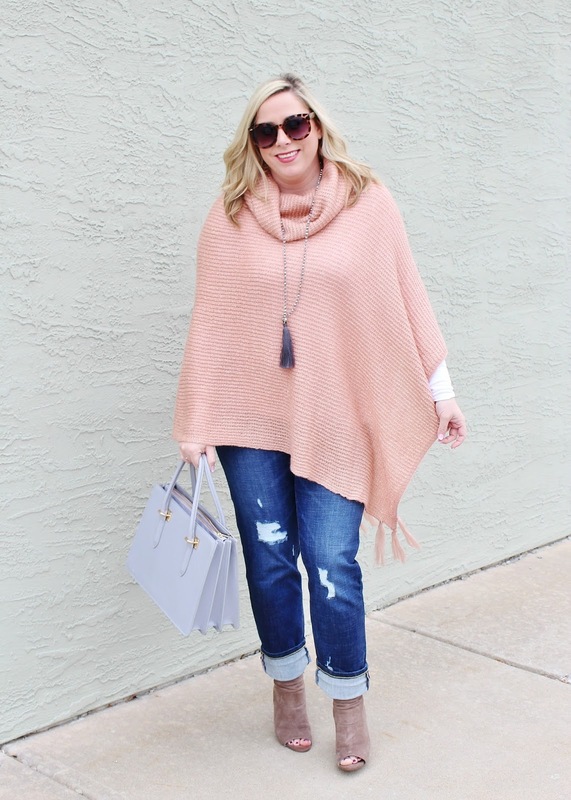 I recently received this gorgeous Holly Poncho from Evy's Tree and I've been wearing it non-stop! The details of this gorgeous layering piece are hard to see in photos but, it has a tiny sparkle in the knit that I absolutely LOVE! This beautiful blush color with sequin accents incorporates just the right amount of sparkle and shine. Its cozy cowl neck and playful tassel trim is yet another perfect extension of your Thanksgiving and holiday wardrobe! 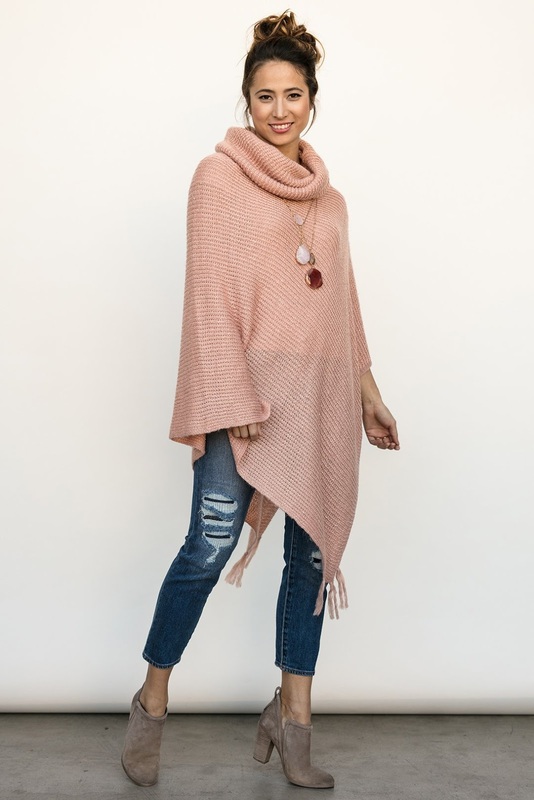 The Holly Poncho is part of the Give Thanks Collection, which consists of three gorgeous pieces that create a perfect holiday capsule collection! Shop the Give Thanks Collection HERE! 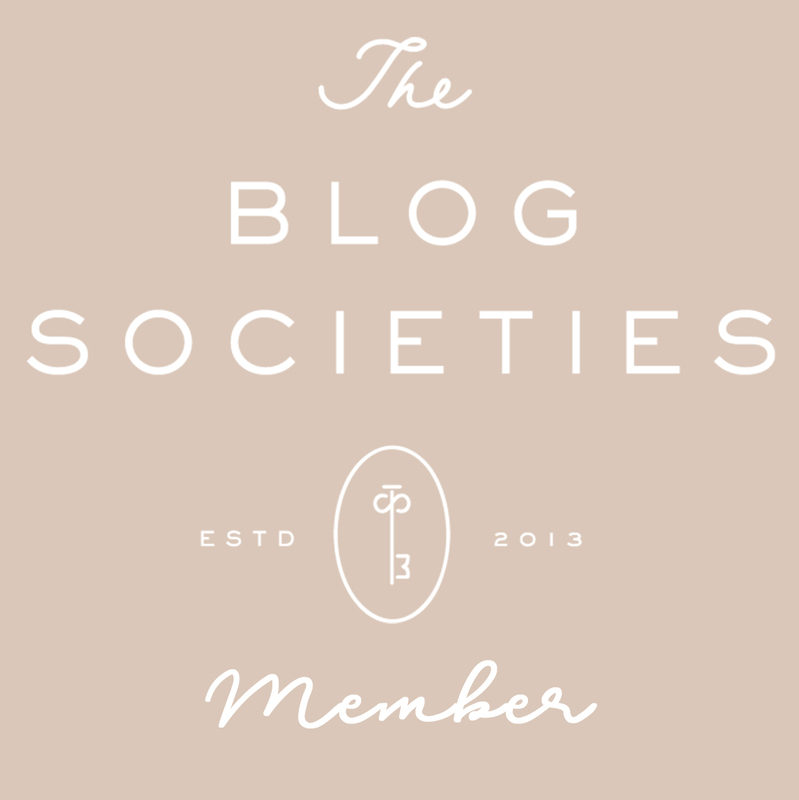 Buy 2 or more items from this collection, qualify for FREE upgraded shipping! 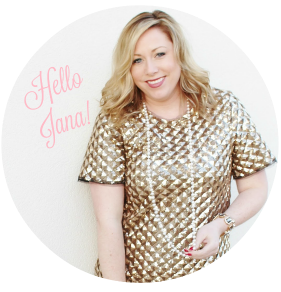 *This post is a partnership between JANA STYLE® and Evy's Tree. All opinions are my own. 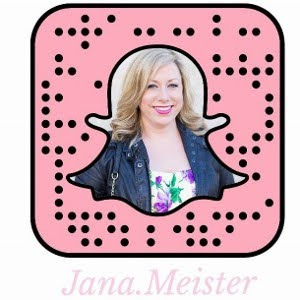 I'm loving the pink! It's so cute. Your outfit is perfect for Fall. 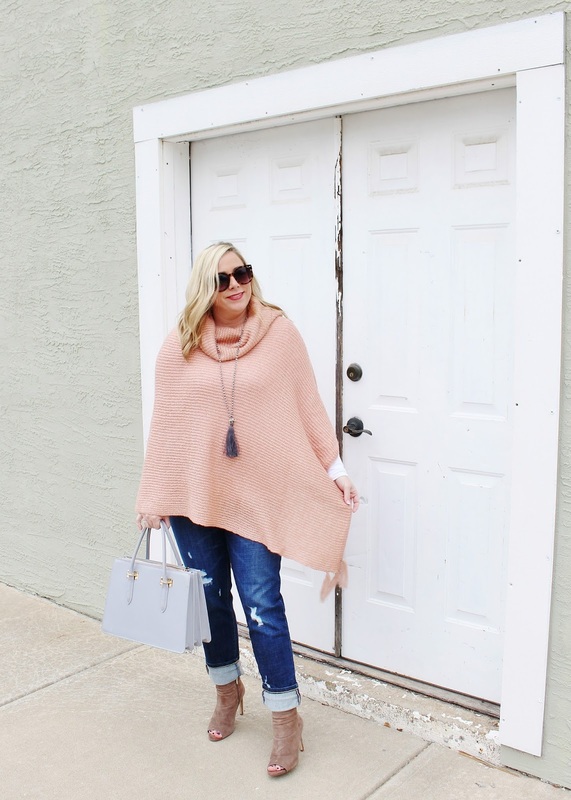 beautiful fall look, I'm huge on blush in the fall!! Hi Devon! Thank you so much! It's such a pretty poncho! That bag is absolutely beautiful. The color is so cute. Such a cute poncho! 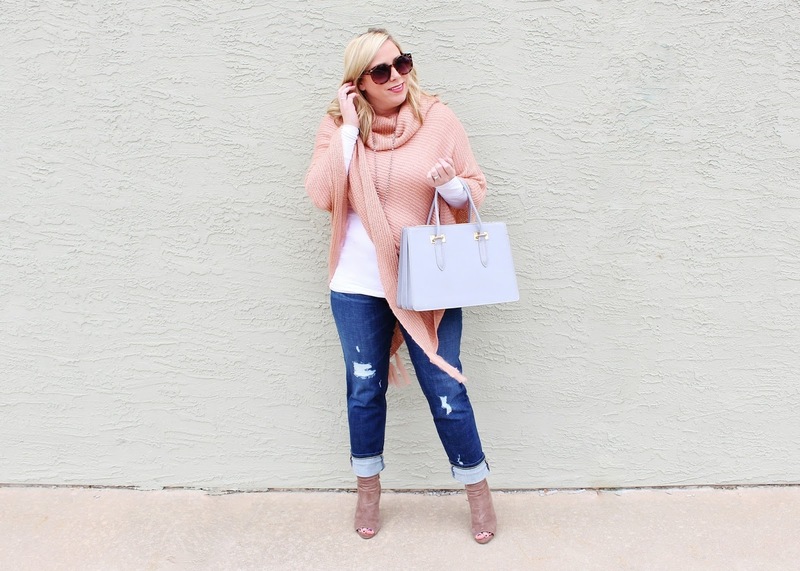 I love the blush color and it's so cute paired with the distressed jeans! The cutest poncho! Love color is really pretty too! I love this poncho!! What a cute piece for fall. The turtle neck just gives is so much shape vs a regular pull over poncho. Hey Katrina! 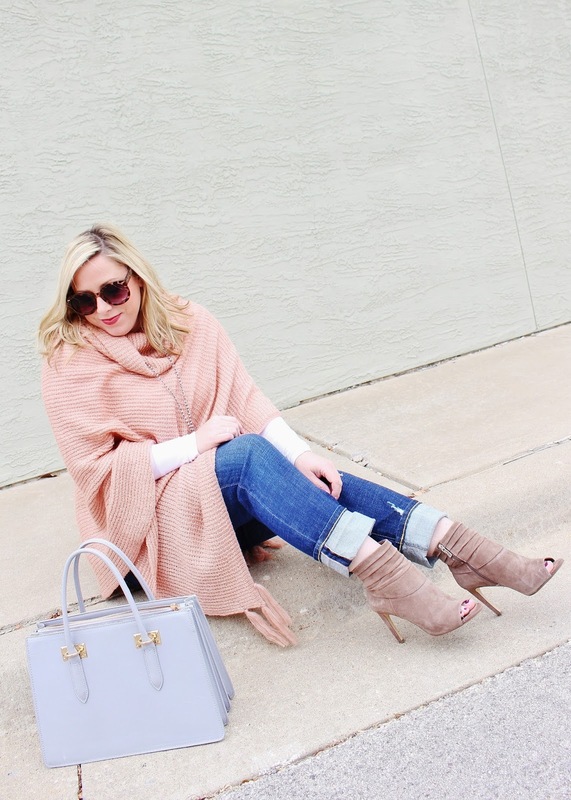 Yes, I also really love the slouchy turtle neck style :) Thanks for stopping by the blog! I am loving that poncho! It's such a pretty color! I love the neck style, it gives it so much more dimension. 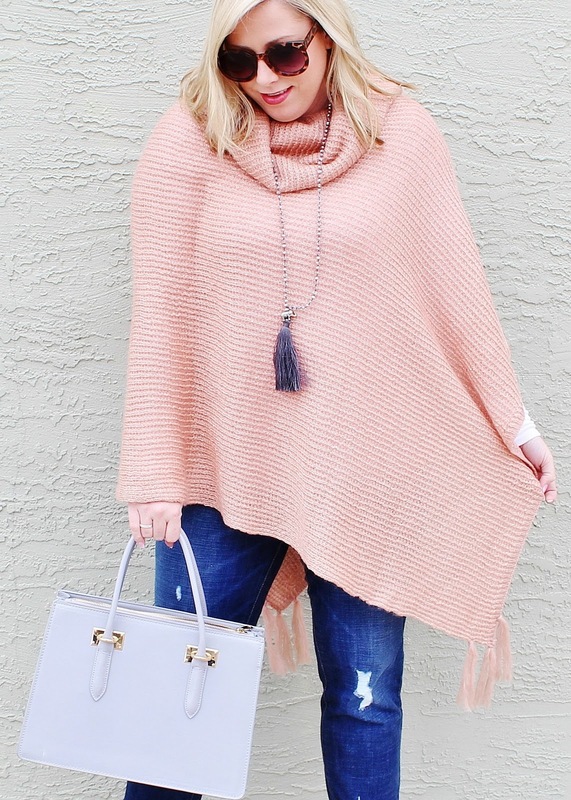 That poncho is so cute and cozy! I just love the color!